House and time at Malvern: No 9, 1902 - 1904. The Times: "Lieutenant-Colonel C. G. Forsyth, D.S.O., Yorkshire Regiment, who was killed on September 14th, 1916, passed into the Army from Sandhurst in 1906 and went immediately to South Africa, where he joined the Yorkshire Regiment. On returning to England two years later he was adjutant for two courses to a mounted infantry battalion at Longmoor, and in 1910 was made adjutant to his battalion. When the war broke out, Colonel Forsyth's regiment was in Guernsey, and at that time he was going through the School for Instruction for Flying, but was recalled to his regiment, which went to Belgium in October 1914, and took part in the first battle of Ypres, at which Lieut. Forsyth, as he then was, was severely wounded. He returned to his regiment in March 1915, having been awarded the D.S O. in January of that year. In February the President of the French Republic bestowed on him the Croix de Chevalier of the Legion of Honour "in recognition of his distinguished conduct during the campaign." On resuming his military duties Colonel Forsyth became second in command and adjutant to the Wilts Regiment under Colonel Leatham, and after the death in action of that officer at the battle of Hulluch he took command of the regiment, continuing in command for three days after being wounded. On recovering Colonel Forsyth was sent out to Egypt, where he was given command of a Yorkshire battalion which had just come from Gallipoli. After service in Egypt he went to another front last July with a Yorkshire battalion as temporary major, but was soon promoted lieutenant-colonel (dated February 9). A brother officer writes: “In his death the Army has lost one of its most brilliant and promising young officers, and I should think at the time he was given command of the Yorkshire Battalion he was probably the youngest commanding officer in the Regular Army. He had a great future in front of him if only he had been spared to come through this war." 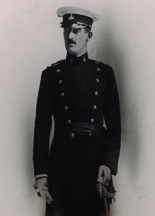 Those who knew Cusack Forsyth at school will not be surprised to hear that he became "one of the finest officers in the Service"; such was the opinion of a senior officer. As a boy, keen, alert, smart, endowed with good abilities, extremely popular, he was not likely as a man to disappoint the high hopes formed of him. He was killed in one of the captured trenches, after he had completed the task—a hard task too—that had been allotted to his battalion. (Malvernian, Nov 1916).